Microsoft co-founder Paul Allen has announced plans to help fund an $8 million aerial survey of Africa's elephants -- the very first of its kind. The survey will be conducted in 13 countries using three fixed-wing airplanes and two helicopters by a team of 46 scientists in collaboration with the non-profit Elephants Without Borders. While the estimated number of elephants in Africa varies from 410,000 and 650,000, in some countries, the population hasn't been surveyed in years. 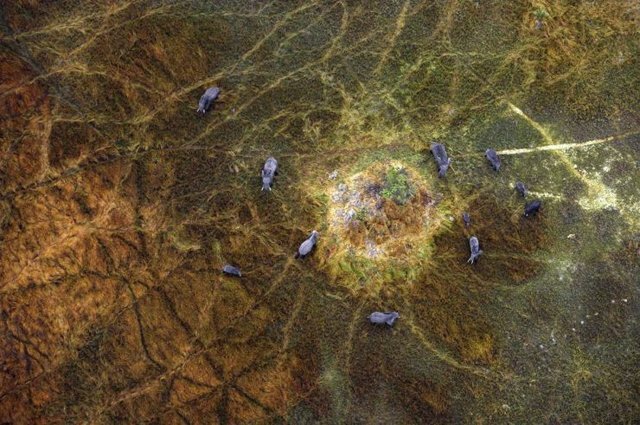 "By generating accurate, foundational data about African elephants, I'm hopeful that this project will significantly advance the conservation efforts of this iconic species," Allen told the Guardian. This isn't Allen's first foray into wildlife conservation -- the billionaire has previously financed projects that include protecting gorillas in the Democratic Republic of Congo and preserving a migratory corridor for elephants in Tanzania. The news comes just days after the Dec. 2 announcement saying that a fifth of Africa's elephants may be wiped out over the next decade if poaching continues at its current pace, with about 22,000 killed last year.